On this day in 1945, Joseph Stalin, Winston Churchill and Harry Truman arrived in Potsdam, where they were over the next two weeks to decide the shape of the world in the wake of the Second World War. The three powers had met before, at Yalta, in 1945 while the war was still coming to an end, when Franklin Roosevelt was still alive, and before then in Tehran in 1943, when it had started to look like the Allies might be triumphant. Germany had surrendered nine weeks before Potsdam, and the conference largely was about Germany’s punishment – borders were to be rolled back, the country partitioned, industry was to be dismantled, Germans in surrounding countries were to be expelled, reparations were to be paid. The conference also issued the Potsdam Declaration, calling on the unconditional surrender of Japan, or else it would face “prompt and utter destruction”. Westerns so often set out to operate at a mythic level that it’s often a shock when something drifts by that locates what we’re watching in a specific time – a horseless carriage or a newspaper, say. Stephen Frears’s The Hi-Lo Country is every inch the classic western, yet it’s quite deliberately set in a recognisable time, right after the end of the Second World War, when men returned from vanquishing Hitler and tried to pick up where they had left off. Westerns also are often about the end of the Old West, how lawlessness was superseded by the joys and pains of civilisation. Here the concern is the death of the New West, and how the mechanised world of agri-business was beginning to flex its muscles and kill off the guys-on-horseback model. But it would be too boring to watch something like that. So instead how about two rancher dudes who fall for the same gal, a gal who’s already married, to the foreman of their arch rival? 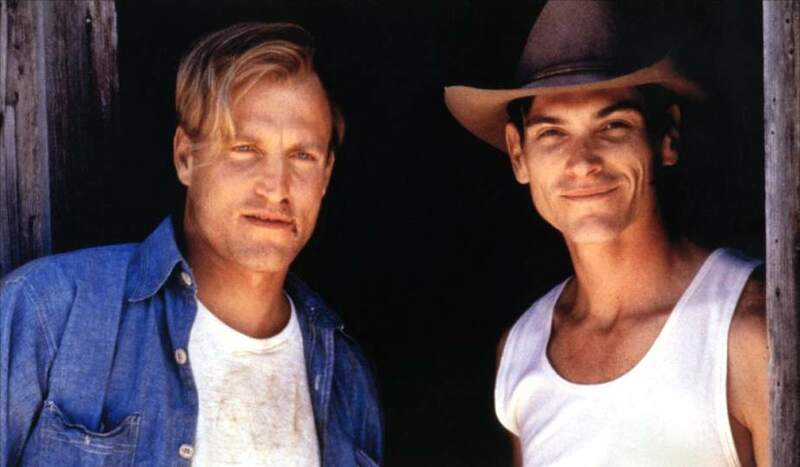 Fleshing out the twin roles of the returning veterans are Billy Crudup as the go-getting Pete who fancies a bit of steering and rearing the old-fashioned way, Woody Harrelson as the hollering ball of tics Big Boy. Meanwhile, Patricia Arquette plays the no-good floozy Mona, who’s hot for Big Boy. And there’s a shimmering Penelope Cruz as Pete’s girlfriend Josepha, though it’s a half-hearted affair on his part since Pete’s in love with Mona. Sam Peckinpah spent years trying to get The Hi-Lo Country made but it was the British Frears who managed it. And he delivers the full western deal – saloons and cattle drives and poker games and rodeos and dance halls, with a Western swing soundtrack featuring Hank Williams, Merle Travis, a further injection of late-1940s modern to remind us that these guys are anachronisms and that they’re fighting a losing battle – man against mechanisation. This theme apart, the film doesn’t break new ground in terms of style or content, and along with its side stories – of Sam Elliott the local cattle baron, Cole Hauser as Big Boy’s brother Little Boy – it also has a large number of horses to saddle up. This has led to it being marked down in some quarters. And it’s true that it does take its time getting going. But it’s a beautifully wrought character study once it does get moving, another of its joys being the way it luxuriates in the rolling New Mexico landscapes – captured beautifully by Frears regular Oliver Stapleton, who brings a touch of Leone to the table. It’s that sort of film.